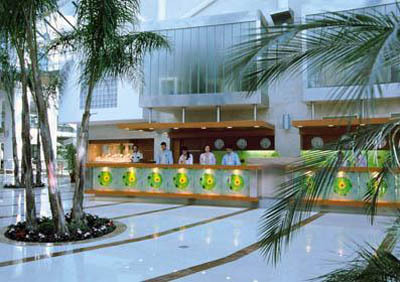 The sophisticated hotel offers an elegance and a unique holiday experience. This modern and stylish hotel has been designed with the All Inclusive concept in mind and offers an impressive range of amenities. 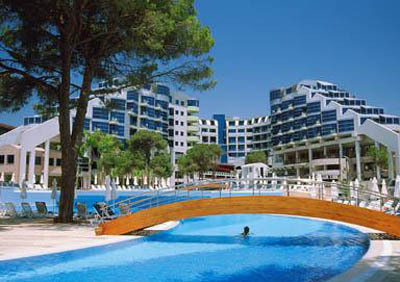 The Cornelia De Luxe Resort occupies an excellent position overlooking the sea and is situated in Belek, the selection of the bars and restaurants is just 4 km away (easy reached by local dolmus), the airport of Antalya is 35 km away. The golf courses are situated approximately 2 km away. Relax in the perfect holiday atmosphere of this hotel where service and hospitality is at a premium and the facilities are of the highest standard. Reception * 4 restaurants * 8 bars * 5 swimming pools (includes 1 outdoor swimming pool, 1 aquapark pool and children's pool) * convention center. Fitness * sauna * Turkish bath * Jacuzzi * Jet showers * steam room * billiards * play station * daily entertainment * shows * disco * non-motorized water sports (canoe, pedals, catamaran and surf -license required) * beach volleyball * table tennis * basketball * tennis * climbing wall * air hockey * aquapark. Mini-club (4-12 years) * 2 children's pools with protection against the sun * children's playground. At the arrival local champagne and fruit basket in the room. Central air-conditioning * interactive & satellite TV with music channels * bathroom (WC + bathtub + hairdryer) * telephone * minibar * safety box (free of charge) * internet connection. 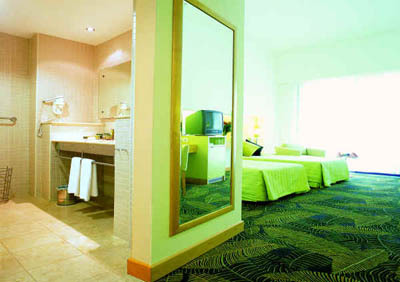 Non-smoking rooms and rooms for handicapped also available. 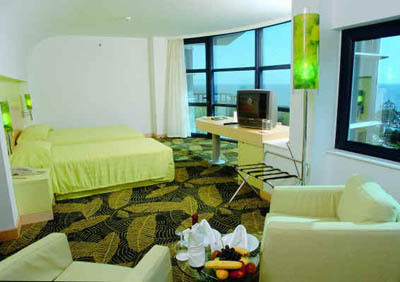 The hotel is situated directly on the sandy beach. Sun beds, umbrellas, beach towels and mattresses free of charge. Unlimited soft and alcoholic local drinks & imported drinks 24 hours a day. Breakfast, lunch and dinner, all meals in buffet style (special children and diet menu available). Harmonia pattiseria - cakes, cookies, tea/coffee. Gozleme (turkish pastry) standa, ice cream service. Minibar refilled every day with beer and soft drink.